We know that the Empire was more about "quantity" than "quality" when it came to their starfighter designs. Most TIEs didn't have shields or all that rugged of hulls. As such, a lot of pilots didn't really make it long enough to be considered "veterans." However, as time went on, some pilots were able to gain enough experience, as well as more robust ships were created (that helped get some more pilots a "veteran" status). 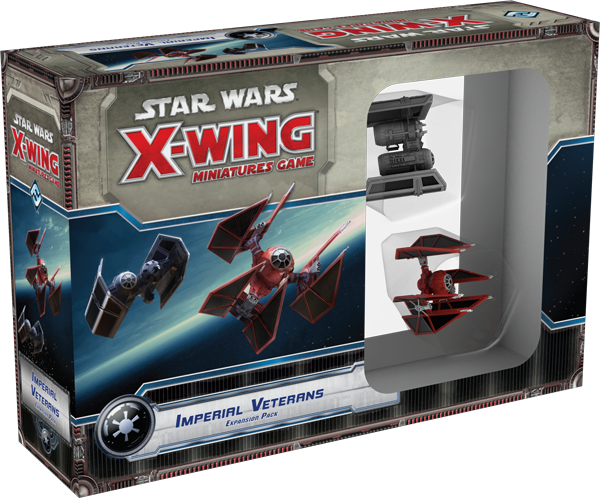 Fantasy Flight is previewing a couple in their new Imperial Veterans set they'll be releasing for the X-Wing Miniatures Game. This time around they're focusing on the TIE Bomber (one of my 3 favorite ships from the series) and the TIE Defender. The ships get new paintjobs compared to their single-release counterparts. In this set you get four pilot cards for each (unique to this box). 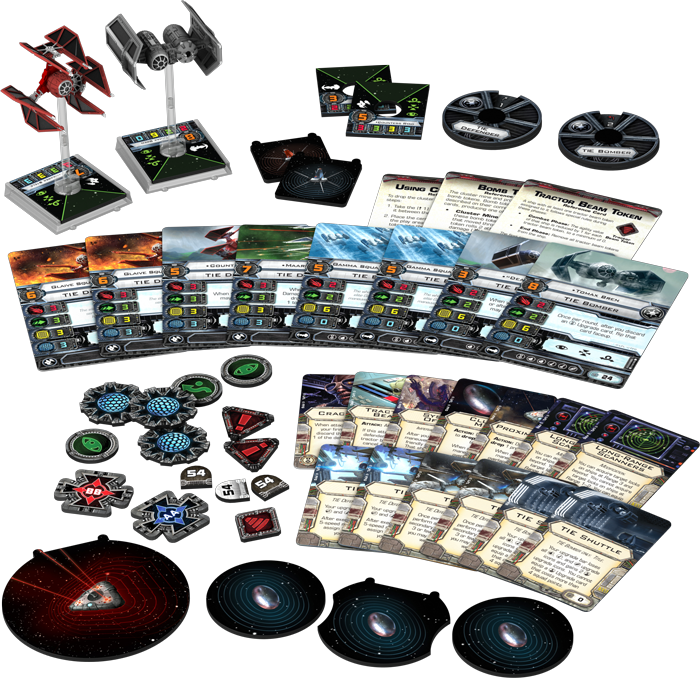 There's also thirteen upgrade cards with which you can outfit your ships. There's also a new scenario to try out.